Leon S. Eyer, 93, of Nittany Valley Drive, Howard passed away Tuesday, Sept. 13, 2017, at Hollidaysburg Veterans’ Home. Born on May 4, 1924, in Flemington, he was the son of the late Scott and Ruth Eyer. Leon served in the United States Army during World War II. On Nov. 9, 1946, he married the love of his life, Betty E. Eyer, who preceded him in death on Oct. 13, 2016. In his early years, he was employed by Dye Works and then helped run the Castanea Fire Company Social Hall. Later, along with his wife, he purchased the Nittany Inn which they ran for 23 years until his retirement in 1987. Leon was a member of the Elks, Moose, and Castanea Fire Company. He was an avid coin collector. 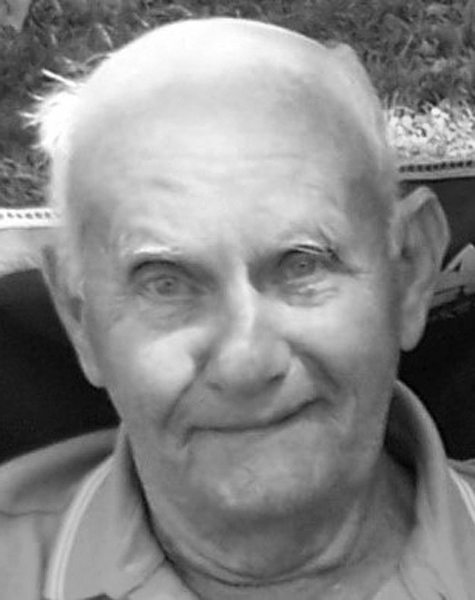 Surviving is his son, Calvin E. “Butch” (Bonnie) Eyer of Howard; two grandsons, Brayn (De) Eyer and Todd (Rose) Eyer; and eight grandchildren, Andrew, Kayla, Billy, Lilyan, Autumn, Delaney, Brianna and Carson. Along with his parents and wife, he was preceded in death by four brothers, Clyde, Jim, Earl and Bill; and three sisters, Betty, Jane and Darrel June. A funeral service will be held on Saturday, Sept. 16, 2017, at 6 p.m. at the Donald G. Walker Funeral Home, Inc., 231 High St., Flemington. Friends and family will be received at the funeral home on Saturday from 5 p.m. until the time of the service. A graveside service with military honors will be held on Monday, Sept. 18, 2017, at 11 a.m. at Rest Haven Memorial Park.